Are you considering a holiday wedding? Many brides do. Naturally, you should have your wedding when you want to, but sometimes things just don't work out the way you would like. Certain friends or family can't make it on your day of choice because of circumstances such as work or travel expenses. Is setting your wedding date on a holiday a good idea? There are several pros and cons. Think about the following tips, and carefully weigh your options. After you ponder the situation for a bit, you will be able to decide what time of the year will be the most advantageous for your budget, and accommodating for your guests. There are some good reasons to have a wedding alongside a holiday. 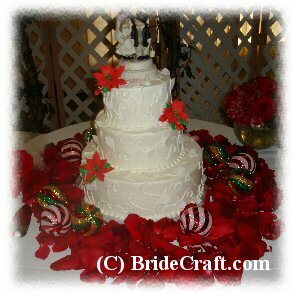 If you are having a hard time coming up with a color scheme or theme for your big day, a holiday can make it easier. For example, having your wedding around Thanksgiving would settle this for you. You could have fall themed foliage and decorations, which would probably be abundant at your local florist. Since Thanksgiving is all about thanks, you could weave an element of gratitude into the ceremony. Pumpkin pie could be served for dessert! Many couples choose Valentine's day to exchange their vows. This is considered the most romantic day of the year, so it is a good choice. Another positive: Most families don't celebrate this holiday as a whole like they do Thanksgiving and Christmas, so it may allow families to attend as a whole. For those couples who are fun loving, a Halloween holiday wedding could be a blast for everyone involved. There have been couples who dressed in Halloween costumes for their wedding, and requested guests to do the same! Normally, there are an abundance of decorations available around holidays. From strings of lights to ornaments and special candies, there is usually a bounty of cute decorations to make your wedding unique. We've gone over some of the pros of a holiday wedding, now let's see what some of the cons are. 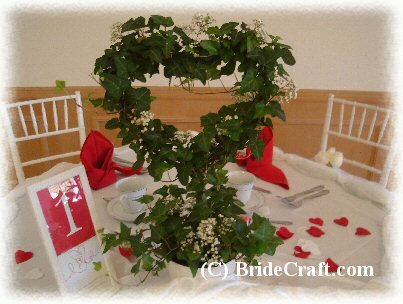 By having your wedding on a holiday, you will find that nearly everything will be more costly. Flowers and vendor services will probably be higher, especially during holidays like Valentine's Day, Mother’s Day and Christmas when flowers are in high demand as gift items. If you are considering a DJ for your December holiday reception, this service will probably cost more as well. Why? 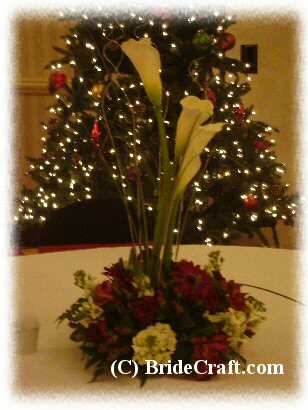 Caterers and DJ's are in high demand during the Christmas season. Many corporations have dinners and parties for their employees, which makes booking these types of services very competitive. Also, many of these vendors charge double and triple the regular fees on holidays. If you are on a strict budget, be sure to consider these things and shop in advance. Many families have traditions every year that are not broken. For example, some may meet at a certain family's home each and every Thanksgiving or Christmas for a home cooked meal. Although they may attend your wedding, they may not be too fond of missing out on their traditional meal or family reunion. Long holiday weekends sometimes work out well, especially if the ceremonies are on a Sunday. This allows everyone to have a little more time to relax, as well as more traveling time. The only drawback to a weekend holiday wedding is that travel and hotel costs may be more expensive. You should choose whatever makes you happy and brings special meaning to your wedding day. Consider your options and your budget, and plan the wedding that makes you happy. Return from Holiday Weddings to the Wedding Article Library.